BRUSSELS, Belgium – Finally, we were able to get hold of the General Disclosure Documents which were published exclusively for stakeholders on March 21, 2013. 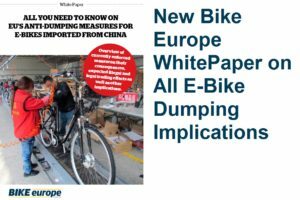 They clearly indicate that the European Commission will decide for a continuation of the 48.5% anti-dumping duty on bicycles imported from China next June. 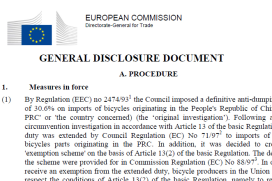 One of Bike Europe’s business relations mailed us the two disclosure documents after we published last Thursday that the European Commission’s Directorate-General (DG) for Trade is keeping the lid on its findings in three investigations; the interim review on the anti-dumping duties for bikes made in China (instigated by the European Commission) and the two EBMA triggered investigations on China subsidizing Chinese bike exporters and on the circumvention measures which are said to be illegally circumnavigated by companies in various Asian countries. 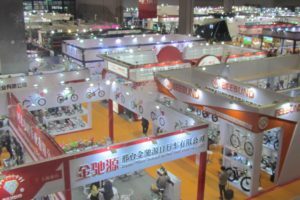 The R546 General Disclosure Document reveals all the details on the anti-dumping interim review as well as the investigation on China allegedly subsidizing Chinese bike exporters. 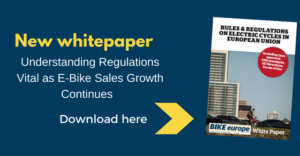 The R563 document reports on DG Trade’s circumvention investigation into bike companies based in various Asian countries evading the 48.5% dumping duty through transshipments of bikes made in China in their export to the European Union. 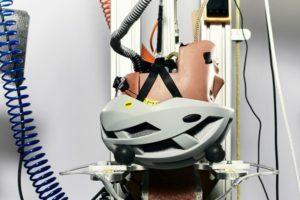 Scroll down for more on what is in the R563 document. 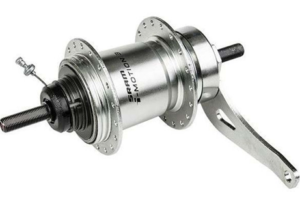 DG Trade’s R546 General Disclosure Document says on China subsidizing Chinese bike exporters that: “The Chinese aluminium market is distorted due to significant intervention of the State.” DG Trade comes to the same conclusion for the country’s steel market. On this and numerous other investigation findings DG trade concludes that Market Economy Treatment (MET) should be rejected for the Chinese groups that requested such treatment. 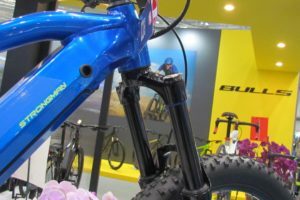 On the existing 48.5% anti-dumping levied on bikes imported from China, the R546 General Disclosure Document says: “The continuation of measures on imports of bicycles originating in the PRC would clearly be in the interest of the Union industry and the Union suppliers of bicycle parts. It will allow the Union industry to grow and improve its situation caused by the dumped imports. 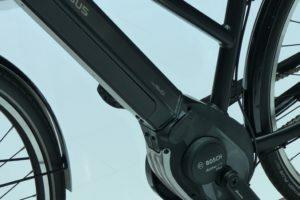 Interesting is that Ideal Bike (which is Taiwan’s nr 3 bike maker with facilities in Taiwan, China and Poland) can operate completely dumping duty free while competitor and Taiwan’s number one bike maker that has a significant stake in the EU market, Giant is not, as: “Giant China refused to provide the necessary information,” says DG Trade’s R546 General Disclosure Document.